I had this leather leftovers in my “to use someday” stash for more than a year. I had bought them to make handles for the bags I used to sell in the Etsy shop, but then I decided to close the shop for a while and forgot about them. 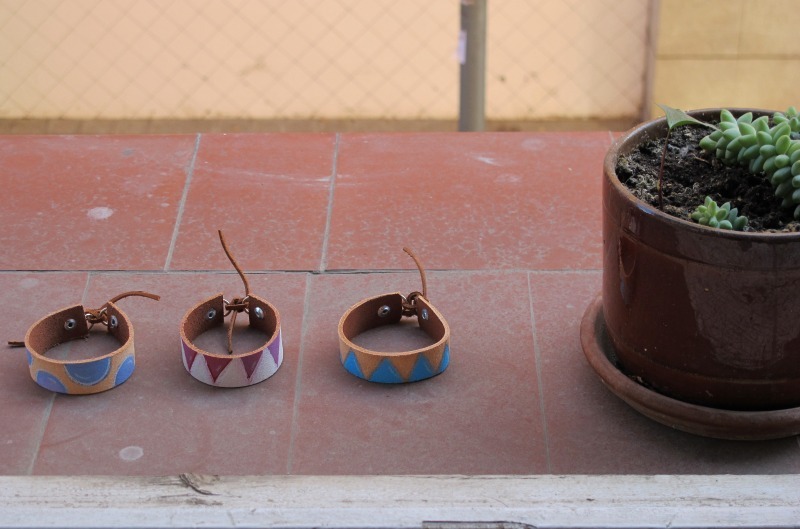 Many years ago I used to wear a lot of these leather painted bracelets: they remind me of spring, of music festivals, of laughter-filled sunsets and nostalgic, cold sunrises. I don’t really wear bracelets anymore, actually I almost don’t wear any accessories except the watch I recently bought because my smartphone kept dying without notice and make me late or really early for meetings more than a couple of times. But these look fun to wear on a sunny weekend at the beach of having a beer in the sun. And they’re super easy to make! To make these I first cut a rectangle of leather using a craft knife, then, with a pencil (so I could erase it if needed) a drew the design. 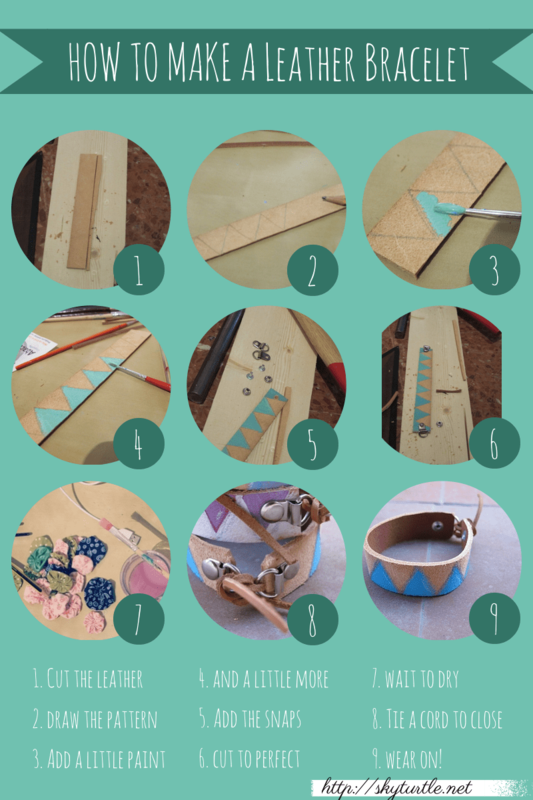 I’ve experimented with simple shapes: triangles, half-circles, but it’s up to you what you what to paint. I really like the mix of this splash of colour and the crude leather. After the paint (I used acrylic mixed with a fabric medium to make it washable and showerable) dried completely, I hammered on the metallic snaps. 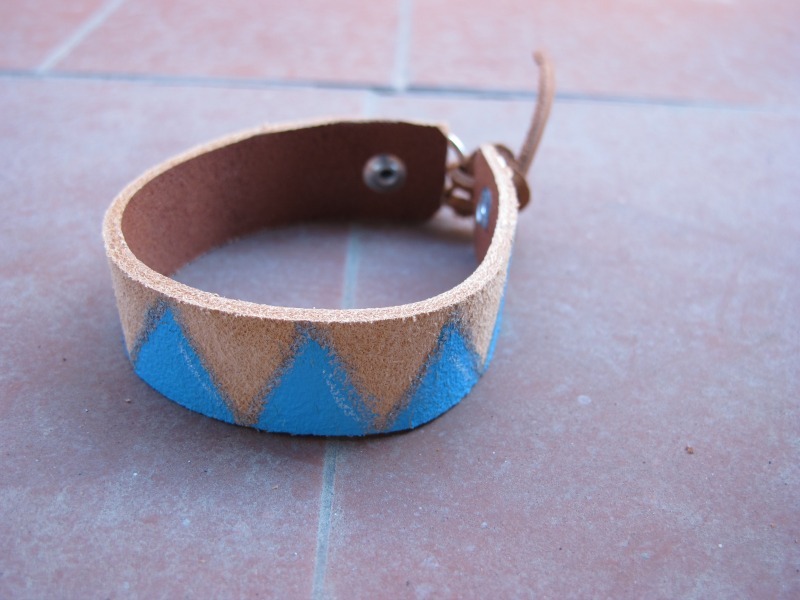 Tied it with another scrap of fabric and thus a leather bracelet was made. 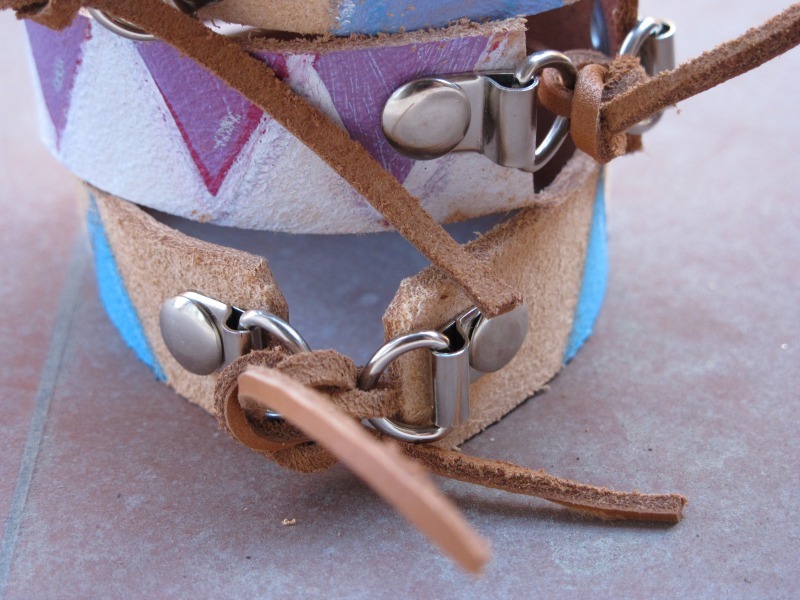 Hope you like them and the tutorial and that it inspires you to reuse something you have around the house and make a leather bracelet or two yourself.